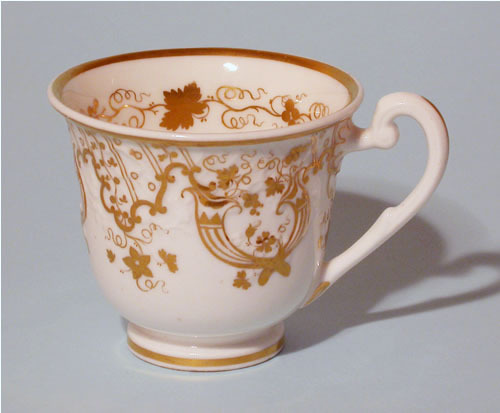 For tea wares of similar shape without the moulding click here. 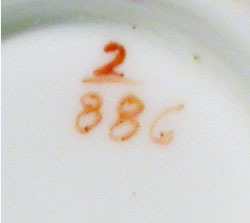 The coffee cup is 68mm high and 81mm diameter. 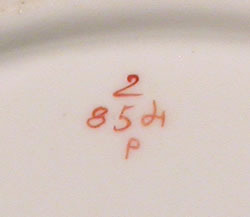 The handle protrudes 25mm. 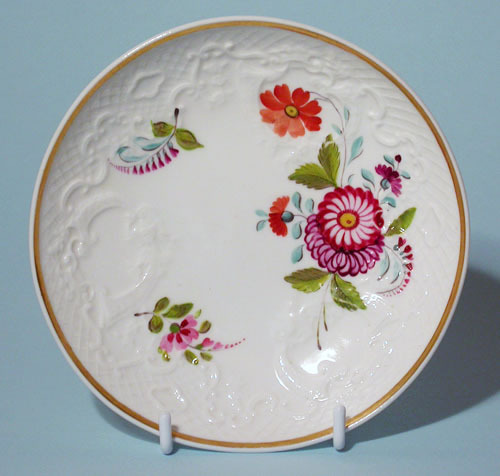 Bone china. 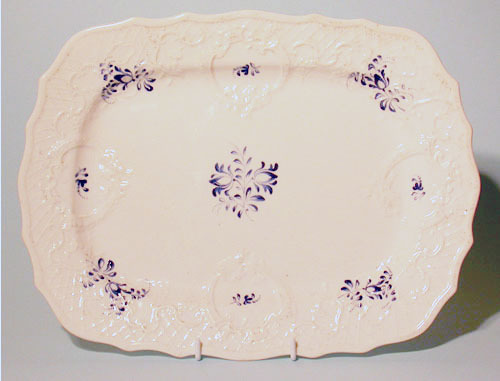 The oval dish is 325mm long and 247mm wide. 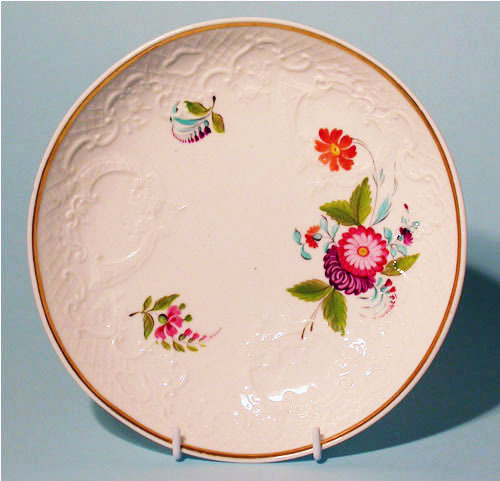 Bone China. 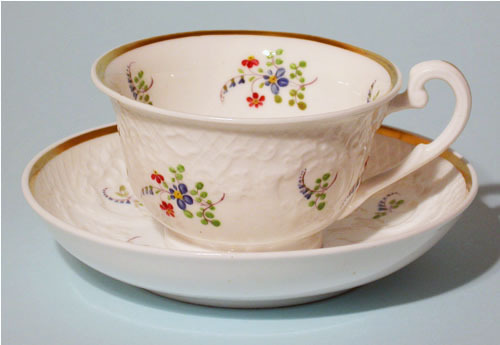 The saucer is 148mm in diameter; the tea cup is 59mm high and 98mm in diameter and the handle protrudes 28mm. 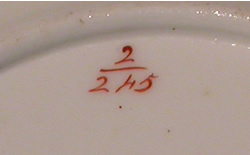 Now this proves that you should not believe everything you read on the bottom of a piece of china. 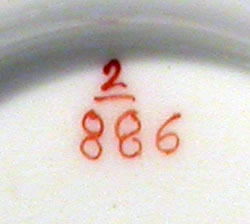 Yes, both cup and saucer bear the number 2/245 and not 2/845. 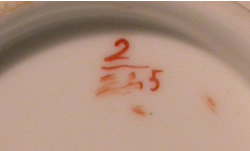 However, I already have an example of 2/245 and it is London shape and the decoration is nothing like this. 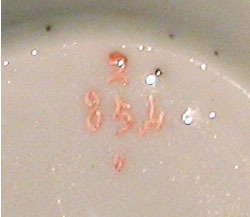 The mystery was solved by finding an odd saucer of the same pattern that clearly had 2/845 written underneath. 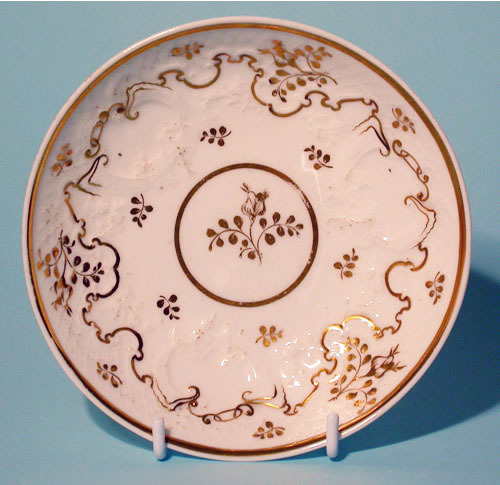 This appears to be the same pattern as pattern 2/842 but with the addition of a gilt edge line. 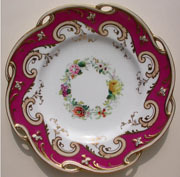 The large saucer dish is 208mm in diameter. 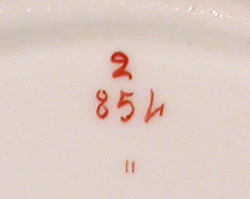 The saucer is 143mm in diameter; the tea cup is 59mm high and 97mm in diameter and the handle protrudes 28mm. 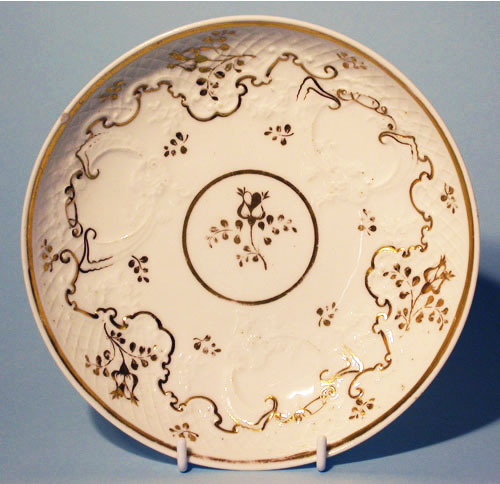 The small saucer dish is 185mm in diameter. 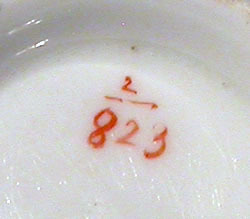 The number appears to have been written as 2/986 and then been altered to 2/886. 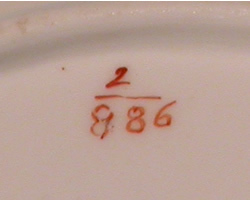 I do not have an example of 2/986 to check with. 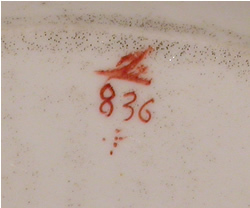 As all three pieces of the trio are clearly numbered 2/886, I am assuming that is the correct number. 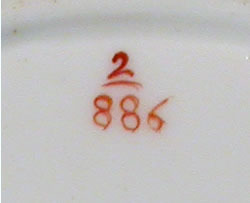 If anyone has an example of 2/986 I would be grateful for a photo or description. 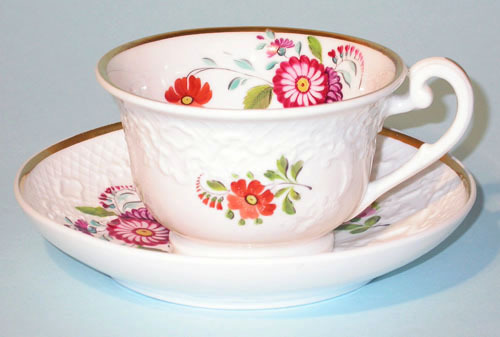 The saucer is 145mm in diameter; the tea cup is 59mm high and 99mm in diameter and the handle protrudes 29mm; the coffee cup is 69mm high and 78mm in diameter and the handle protrudes 27mm. 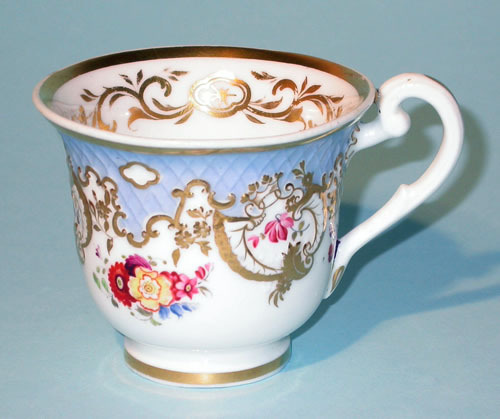 The coffee cup is 68mm high and 80mm diameter. 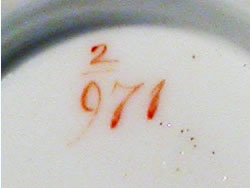 The handle protrudes 27mm. 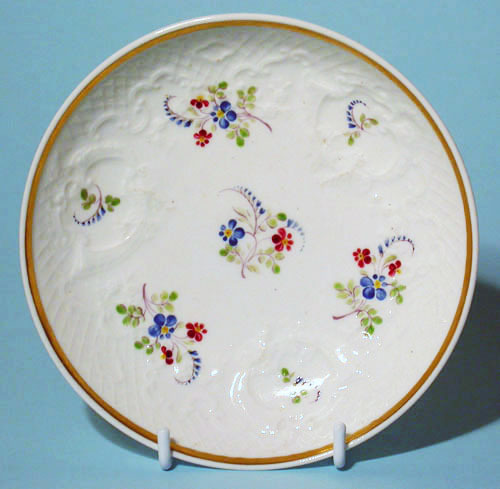 Bone china.